A soul singer, songwriter and pianist from Aberdeen, whose treacle on gravel voice has made her hotly sought after as a collaborator by such artists as Chipmunk and Wiley. 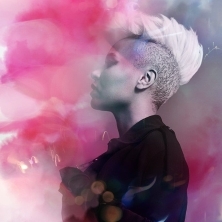 Smart, sussed, talented, entrepreneurial, shiningly engaging in the flesh, utterly transfixing on stage and unforgettable in her words and melodies, Emeli Sande is the epitome of the brilliant modern artist. Page generated in 0,158915 seconds.